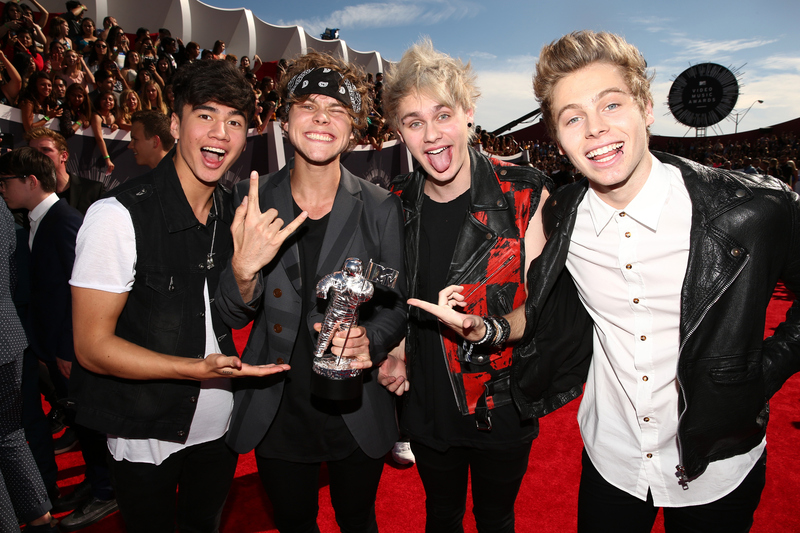 5 Seconds of Summer's 'People Magazine' Awards Performance Was Another Cover, But Why? To bring in the young age demographic — it's just a theory —, People Magazine Awards had 5 Seconds of Summer perform during their live Thursday awards show. They had a tough act to follow, Maroon 5 and Adam Levine's rock star number was pretty awesome, but the boys in 5SOS proved themselves during their cover of "What I Like About You." With that said, why are these guys doing a cover of an 80's favorite? Is it supposed to be ironic, or do they seriously not have anything better to perform? Before the 5SOS fans eat me alive, I admit irony and lack of inventory might not be the only two explanations regarding the cover, but you can't help but think that, right? During the American Music Awards, 5SOS performed the same song, originally by The Romantics, to promote their recently released LIVESOS, a live album. Let me just say that these guys know how to cover "What I Like About You." They've got a modern take on the song, which many of us might have fallen in love with from What I Like About You with Amanda Bynes, but I digress. But why is it that 5SOS is being asked to perform this as their promotional song. "What I Like About You" is 5SOS's lead single off of their live album, but when they're performing, I don't really get promotional as much as I get "Oh, this is fun. They're throwing it back with a cover." Perhaps the producers of the awards shows don't think people are going to tune in if they perform a song of their own — they have a huge fan base, so that wouldn't be a problem — or maybe the guys just really like to perform it. I just feel like they'd get more of a response if they sang an original, but what do I know about the music industry other than my one semester stint in the 8th grade chorus?